Looking north along the Nottingham canal towards the junction with the Poplar arm in 1895. The main line of the canal turned left under London Road with the Poplar arm to the right. The Trent Navigation Company's warehouse dominates the scene. The building on the left is the Great Northern Hotel. 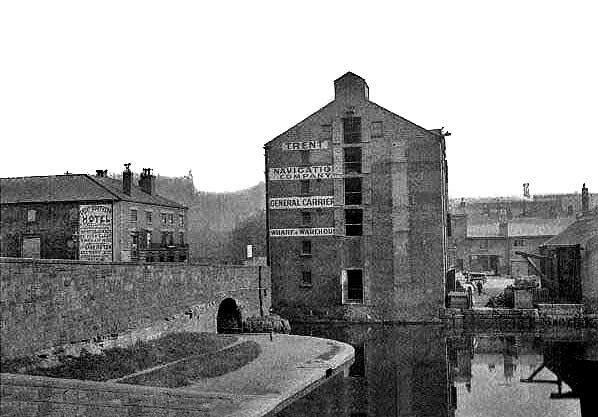 Three years later a viaduct was built crossing the canal in front of the warehouse. Nottingham London Road High Level station ran across the canal and London Road on the viaduct.